Kendall Argyle Indwell NG Feeding Tube BUY Argyle Nasogastric Feeding Tube, 8888261412, 8888261438, 8888261503, 8888261701, 8888261800. 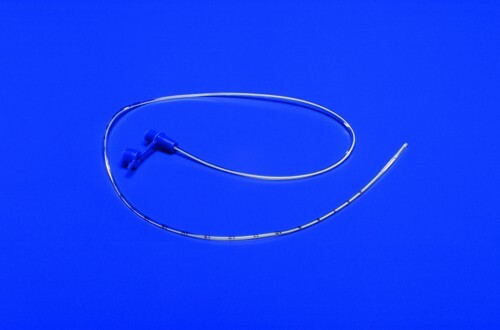 Kendall Argyle Indwell Feeding Tube is manufactured under the name Argyle Indwell as a Kendall product of Covidien to serve as a gastrostomy tube or G tube. This Feeding Tube is constructed with polyurethane. It's construction allows for thermo sensitivity to the patient and quickly warms to body temperature. At body temperature, the feeding tube softens to provide greater patient comfort and adaptation to placement of the tube. At room temperature, the Argyle Indwell Feeding Tube is stiff to allow ease of placement. Stronger than PVC or silicone, the polyurethane construction allows for a much thinner wall, providing a larger inner diameter for increase flow rates. The increased diameter also reduces clogging when properly maintained. Vitality Medical also carries the Argyle Feed Tube with 2 Staggered Eyes and Argyle Connecting Tubes. Thermo-sensitive, polyurethane material is stiffer out of the package and softens up to 40% when warmed to body temperature. It then remains flexible for prolonged use. Transparent thus allowing clinician to see the color, consistency and clogs of fluid. Colored, x-ray opaque Sentinel Line with Sentinel Eye tubing. Proximal end accepts male luer connector and allows for universal connection with feeding adapters. Attached cap to cover proximal end; cap can be closed during periods of non-use or transport. 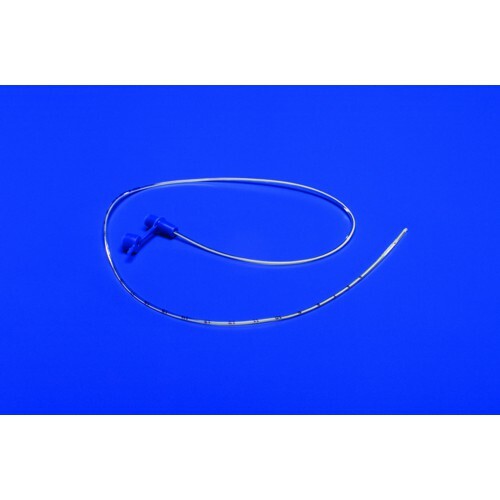 Kendall Argyle Indwell Feeding Tube Product Numbers: 8888261355, 8888261420, 8888261412, 8888261420, 8888261438, 8888261503, 8888461042, 8888261701, 8888261800, 8888461420. Patient Options: Adult and Pediatric.